Even though this book was published five years ago, the information is still applicable today. This book is a great tool for helping parents instill the importance of their children managing their money or finances, or, for kids to find out themselves. Ideas include Why Money is So Important, Beyond Allowance, Saving Money Isn't Always Easy, Budgets are for Everyone, ATMs and Debit Cards, and the Wonderful World of Investments. Kids today are more financially independent but many are not taught the fundamentals when it comes to managing their money. By giving them a solid and workable basis on which to look after their earnings and/or allowance, it'll stand them in good stead once they are out in the real world and earning a salary. I'm of the opinion that children should work for their money, like everyone else, which will help them grasp the idea of working for, and appreciating the money they earn, as well as how easy it is to waste if it's not managed. 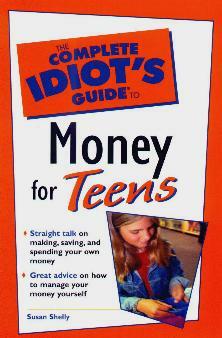 Author Susan Shelly has put together a truly instructive book to help you (and your teenager/s) understand money and how to make it work for you, and, increase it through careful investments or savings. A very important aspect to learn, is "Knowing the Difference Between Want and Need" which Shelly also covers succinctly. I also liked that she talks about Social Responsibility - "...being aware of and appreciating what we have and helping others when we can". A great philosophy to learn (and be taught) from an early age. Shelly also talks about allowances and working for your money. Perhaps you already have money - this is covered, too, as well as saving what you earn - vital for later in life - and to understand what it means to budget. Conclusion - Extremely useful book for parents and teenagers alike.